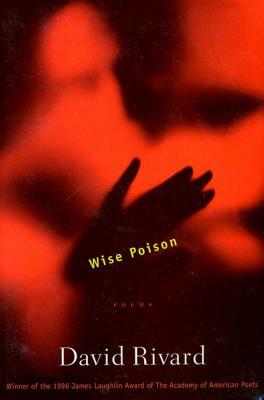 In Wise Poison David Rivard gives us a mind hard at work on the most vital questions: Who am I? What do I love? What can be trusted? At issue in these passionate arguments with the self are the "curious forces" that surround us in every part of our lives. In an airport lounge in the Yucatán, in the song of a street musician, or simply in the pulsing of skin along the neck, Rivard finds connections and doubt, and reason for both comfort and rage. David Rivard's previous book, Torque, won the Agnes Lynch Starrett Poetry Prize. Among his many awards are fellowships from the National Endowment for the Arts, the Fine Arts Work Center in Provincetown, and the Massachusetts Cultural Council; a Pushcard Prize, and the Celia B. Wagner award from the Poetry Society of America. He teaches at Tufts University and in the M.F.A. in Writing Program at Vermont College.